Over the past several years there has been substantial growth in more elaborate outdoor sound systems installations. These systems have gone well beyond the typical “couple of speakers up under the eves,” leading to increased potential for elaborate outdoor sound system in stalls. 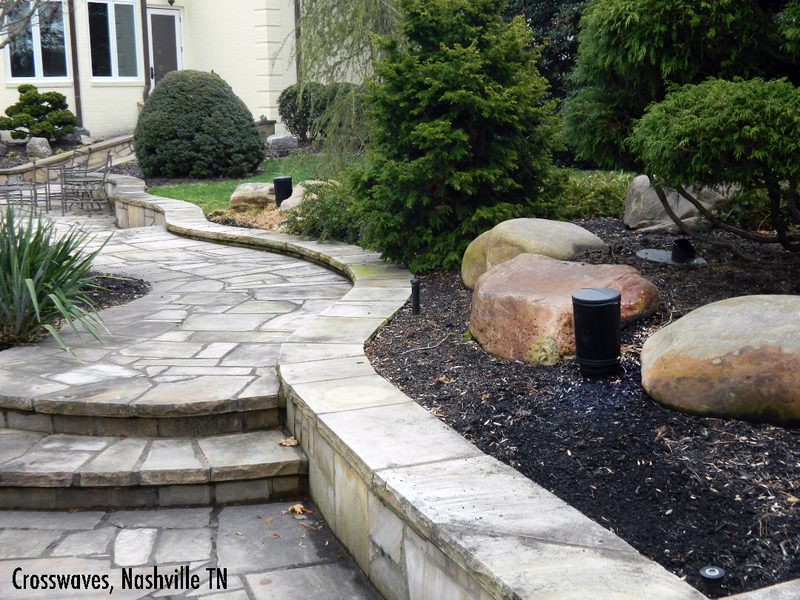 Many systems now include multiple carefully placed speakers in the landscaping concealed from view. Creating significant bass outdoors with the few small drivers used in these satellite speakers isn’t easy so most designs include a subwoofer or two to fill in the bass range. We thought an overview of some fundamentals regarding such systems and some tips on system design and implementation might be useful. 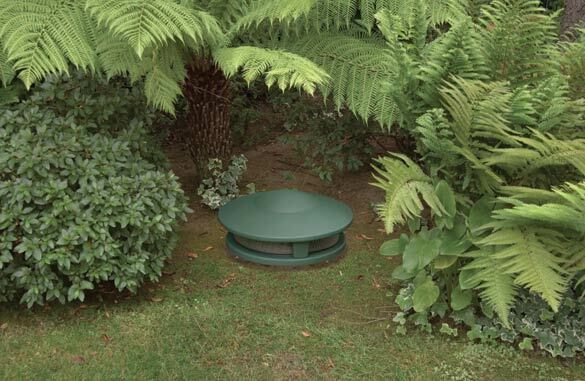 The benefits of hiding speakers within the landscaping include reduced visual distraction and the potential of installing more speakers around the target area, which leads to better and more consistent sound coverage. Other benefits include enhanced reliability assuming that better sound coverage will result in less demand being placed on the individual speakers and plus the ability to cover larger areas. Such systems have led to more 70 volt systems installs, which offer lots of advantages when you’re looking at covering large areas with many speakers. (We have a primer concerning 70 volt available here.) Doing outdoor sound this way certainly offers more flexibility in design and typically results in significantly better outcome for your clients. Although there are lo ts of these systems being installed it’s certainly not a requirement that outdoor speakers be hidden from view. But there is a certain appeal to this kind of install and interest has been on the rise for some time now. We always recommend 0utdoor speakers be placed facing in, towards the area to be covered rather than firing out, primarily to reduce chances of disturbing the neighbors. However, subwoofers can be a special case because there’s no directionality to sound below 100Hz so it spreads out in a 360-degree radius around the sub. And since bass sound waves are very large, they’ll easily travel pretty far. There’s more about subwoofer placement below. Note that when you place satellite speakers within the landscaping, there’s the possibility of degrading the sound your clients hear because landscaping elements like dense bushes, tree trunks and large rocks can muffle the sound. Even though these systems are often used for background music, it’s important to ask your client if there will be times they might actually want to listen to good quality sound outdoors. If they say yes, try to choose speaker locations that don’t physically block the output from the satellite speakers. Any solid or semi-solid object that sits directly in front of the speakers will likely diminish the quality of what’s heard. Some of these systems let you angle or aim the satellite speakers for best coverage and sound. Our flexible AC series mounting bracket allows for almost unlimited angle adjustments and our pipe mounting options let you get very creative in putting these high fidelity speakers in locations that offer both excellent sound and limited sightlines. The LS.10 ground mount speaker, which has been specifically designed for this kind of system, and the LS.32 bollards have their 5.25-inch co-axial drivers mounted at a 35 degree up angle within their sealed enclosures . In addition, the upper, speaker portion of the LS.32 can be aimed independently of the LED lighting for maximum fidelity and flexibility. Sound coverage issues are particularly important as the sound goes higher in frequency because it becomes more and more directional in nature. The very highest frequencies act more like a focused flashlight than a floodlight. Again, this is most important if your client expresses an interest in better fidelity. The decision to use a subwoofer should be based on the size of the area you’re trying to cover, the satellite speakers you’ve chosen, your client’s desire for background or foreground sound and level of fidelity. Subwoofer placement should be determined by several factors. If you’re trying to cover a large area remember that filling up the “Great Outdoors” with bass can be a pretty daunting t ask as there are few reflective surf aces to provide bass reinforcement. To maximize the sub’s impact and coverage, locating it directly adjacent to a foundation wall or other large, reflective surface will help to focus its output more. As with the satellite speakers, more than one strategic ally placed subwoofer will lead to better coverage and fuller, richer sound throughout the listening area. During the client interview process it’s important to make sure they understand that these systems aren’t designed to generate outdoor rock concert levels. The Terra LS.10/LS.32 speakers, for example, will generate substantial output and should satisfy the vast majority of outdoor music lovers. In fact, we’ve measured a sustained 89dB from a single LS.32 at a 25 foot distance with white noise. And we measured 87dB at 70Hz from the AC.SUB at 25 feet as well. These numbers are just to give you an idea of achievable output levels. They’re not intended for you to try to get these levels from a single speaker, under long term operating conditions. If you need relatively high SPL please contact us and we’ll work with you to create a system your clients will love . We generally quote a coverage radius of between 40’ x 40’ – 50’ x 50’ feet for a single AC.SUB at modest listening levels. Of course, more subs will cover larger areas and play louder. Standard Terra packages include 6 satellite speakers from the AC or LS series. For typical background listening these packages will cover an area of approximately 40’ x 40’ – 60’ x 60’, assuming average residential background noise level. For commercial applications like outdoor restaurants and bars you need to determine how loud the management wants the sound to be before advising on number of speakers and subwoofers. Once again, when you have the detail s give us a call and we’ll help you design a system. All wiring should be direct burial grade and terminated by soldering (using high quality shrink tubing after the connection has been made) or using silicone filled burial grade connectors like those supplied with every Terra ”pig tail” connected speaker. Given the opportunity we also recommend using outdoor watertight J-boxes for all connection points as well. It may take a little more time and effort initially but will result in major labor and frustration savings should you ever need to service or upgrade the system. And if you want to go all out, burial grade conduit is the ultimate outdoor system wiring upgrade. Amplifier power is a key factor in system performance. Strictly background listening? Lower power amps will suffice, say 40 to 50 watts per channel (don’t forget to compensate for line losses if you’re running long wires and using low impedance speakers instead of 70 – volt). If you’re dealing with a client who cares ab out fidelity and may actually want to listen to the music, we recommend a minimum of 75 watts per channel and would like to see closer to 100. Subwoofers can place much higher demands on power amps. If you’re dealing with a 70 – volt sub evaluate its performance very carefully as the transformers used in 70 volt system s are known to especially degrade bass performance. That’s why the Terra AC.SUB is sold as an 8 Ohm model. Its massive driver (see next article for more details) is in a relatively compact total ly sealed enclosure, great for long term reliability and excellent bass performance. Because of the small enclosure the AC.SUB needs to be driven by an amplifier capable of delivering least 250 watts of clean power. That’s one of the main reasons we sell t he Crown™ CDi series of power amps. As in past Terra newsletters we recommend you look into one of the surge suppressors on the market designed to protect the connected electronics from surges induced in the outdoor speaker lines by nearby lightening strikes. They’re not designed to protect against a direct hit, but they will help in the much more common nearby strike scenario , sacrificing themselves to protect the equipment rack . Be sure to locate them in an easily accessible place so you ca n replace them, if necessary. So get out there and start doing more than just selling a pair of outdoor speakers. The potential benefits for your clients enjoyment and satisfaction with a truly well designed high performance outdoor sound system are great. And the potential benefits for your business are pretty substantial too.